Yesterday I had to drive to PDX so I missed the very strong Hatch winds. But I dropped by the Hatch mid day to check out the wind just as the 10+ day fire went crazy just west of Stevenson and also made a lunge towards Hood River. From the Hatch I could see helicopters dumping water on the far western outskirts of Hood River. 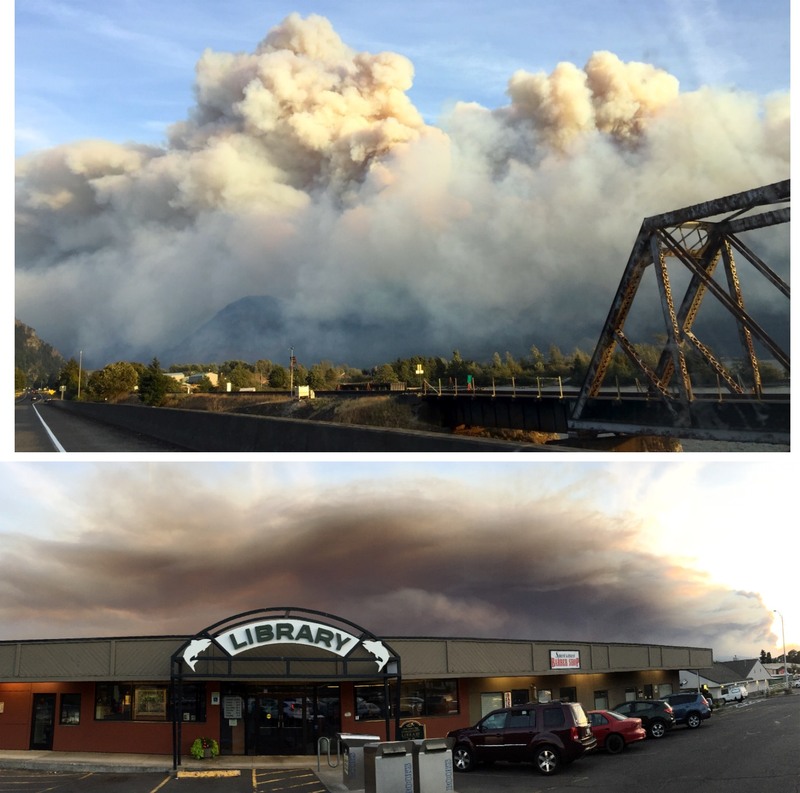 So as I drove to PDX I took a series of photos of the fire spreading in our beloved Gorge. Last night I could see hundred foot bursts of fires just past Starvation Creek as conifer trees exploded. Driving down the Gorge looking towards Oregon it seemed that the damage to the forests was patchy along Hwy. 84 and up the cliffs. Some areas were devastated while others were intact. It looked like from 84 the Gorge will seem not horribly disfigured. The real damage is up in the canyons where the spectacular hiking used to be found. ‹ West Coast Wind Blog: Powerful S. F. Bay Area predawn “mystery” winds.